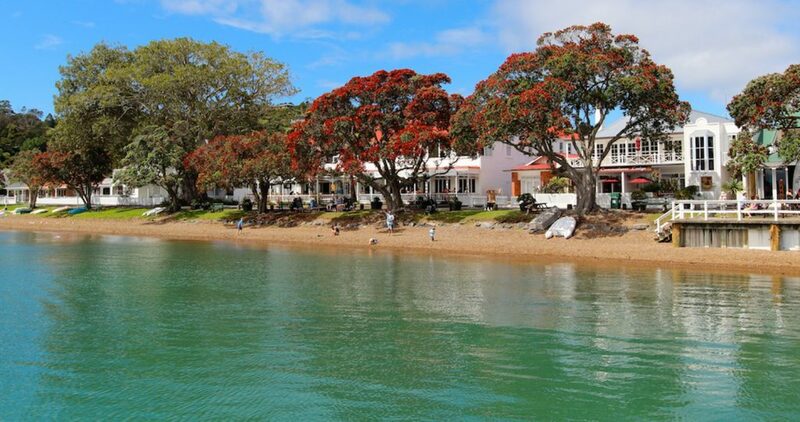 If you haven’t been to Russell in the gorgeous Bay of Islands yet – you need to. NOW! It is one of the most beautiful places in New Zealand (in my opinion!) and definitely one of my favourite places to go. 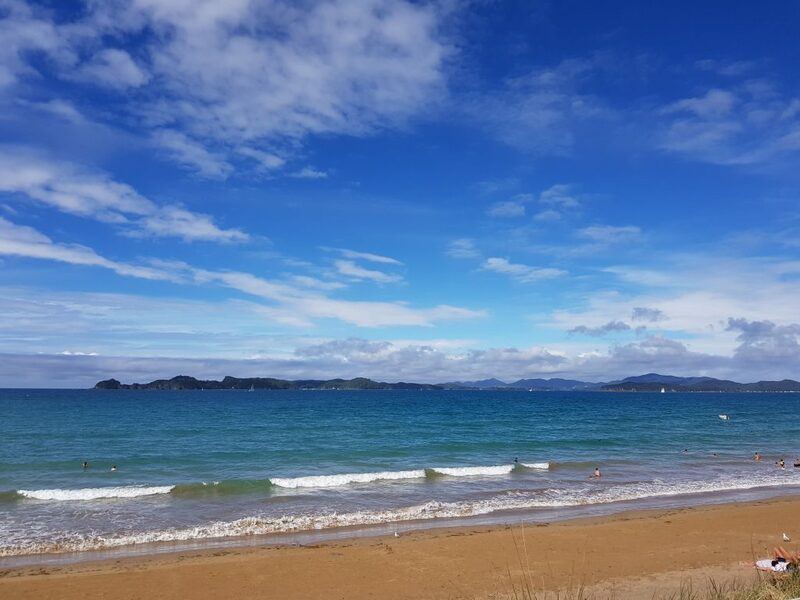 I spent my teenage years and my twenties living in Whangarei which is the biggest town in Northland and only a 2-3hr drive from Auckland. Drive the coastal road which takes FOREVER! Honestly, I haven’t done this drive in a long time, last time I did the road was all gravel but I understand it’s sealed the whole way now (or at least most of it). This takes a lot longer than the ferry, but it is a lot more scenic. 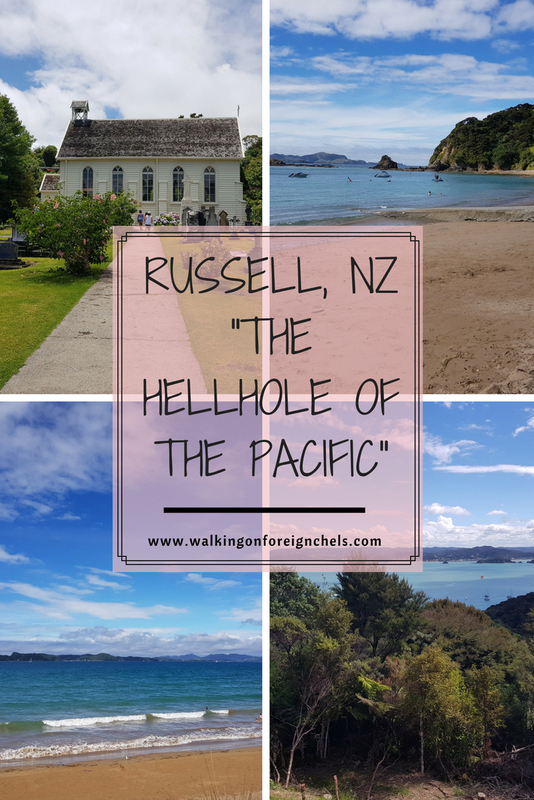 I usually take the car ferry as I like to be able to go to the different beaches around Russell and they’re not really within walking distance of the town centre. Me personally, I have been to Russell so many times over the years – we used to camp there as kids and I’ve spent a lot of time up there as an adult so I’m pretty familiar with the place and I’ve done most of the things that are available to do in the town. Walk down the waterfront: The waterfront is beautiful! 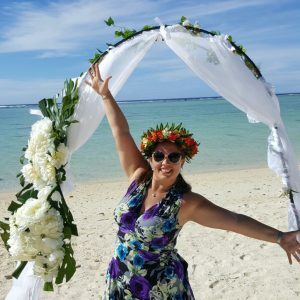 At any time of year, however, it is a LOT busier in the summer months and there are a few different things going on over the summer that are worth catching if you can. There are a number of cafe’s and restaurants along the waterfront as well as souvenir shops to check out and some old houses that have been there forever. There is one in particular I like, the house itself is nothing much to look at but their letterbox is a mini replica of the house and it is the cutest thing haha. Check out the pier where all the boat trips leave from and if it’s your thing, hang a line off the edge and see what you can catch. You’ll find people jumping off the pier into the water as well as a number of private yachts and boats moored close by. Make sure you have a look at the giant fig tree (planted in 1870) located outside Russell’s first Police Station; and take a look at the police station as well. There is a new one that has been built on the property but up until fairly recently it was the house that the local constable lived and worked in. There is an info board outside which will give you a little insight to the history of the building. 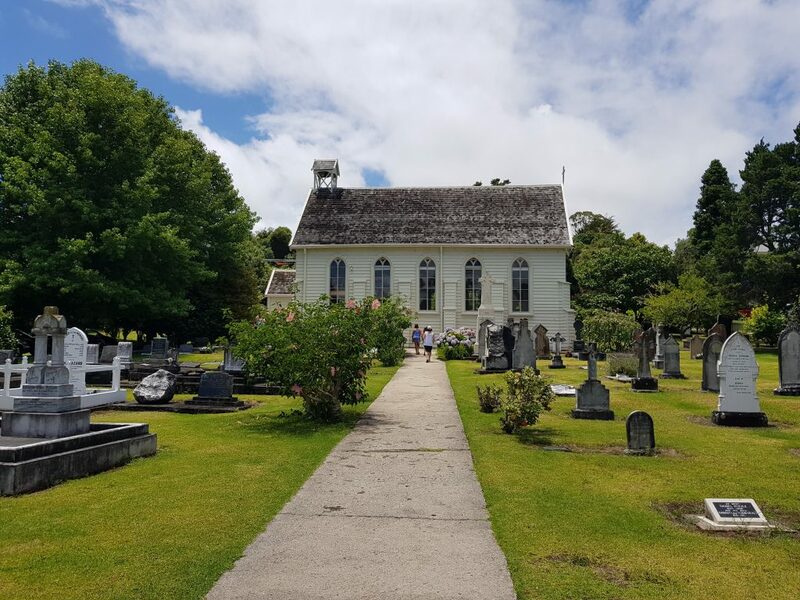 Christ Church & Cemetery: This is the oldest existing church in the country. I always enjoy wandering around the cemetery and looking at the graves so you should definitely spend some time doing this. There are a few memorials dotted around for sailors that drowned when their ships went down in the bay or were killed during one of the many battles in the area. Make sure you take a close look at the walls – you’ll see the holes from musket balls leftover from a skirmish. I believe the first European settler born in NZ was buried here at this cemetery so look out for this grave. The grave stone actually states this and I believe it was a woman so it shouldn’t be too hard to find. Some of the graves are quite sad as they are little children who have drowned in the area. I’m sure some of them died due to disease as was common at the time but the grave stones often give a description of what the cause of death was. Check out the church as well, it is always open and they have some postcards and prints for sale by way of donations in an honesty box. It is a beautiful church and the feeling you’ll get while you stand in there is indescribable. 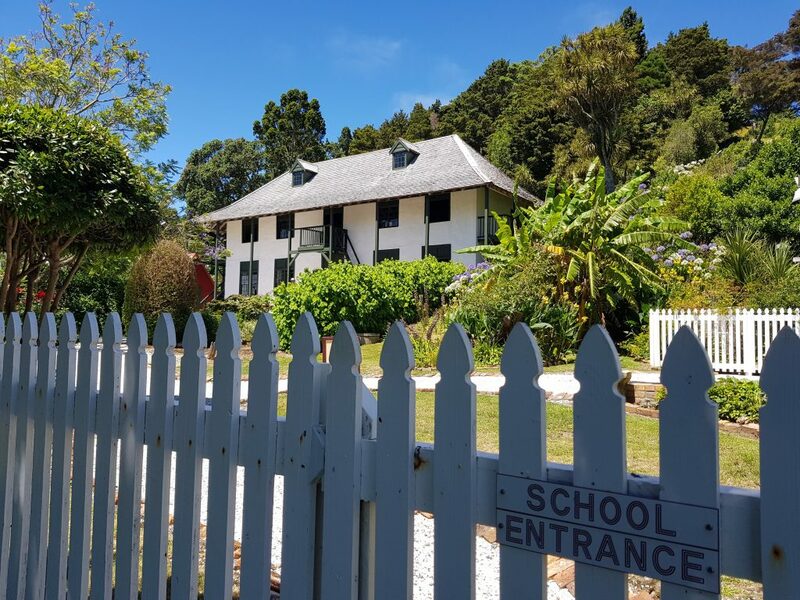 Pompallier House: Pompallier Mission & Printery was built a group of French Marist brothers in 1842. It is located along the waterfront in Russell and is open 10am – 5pm for guided tours – which is the only way you can see the place. There is a tannery on site which is still in use today, but was originally built for the Marist brothers to use the leather for their religious books and pamphlets that they printed on site. 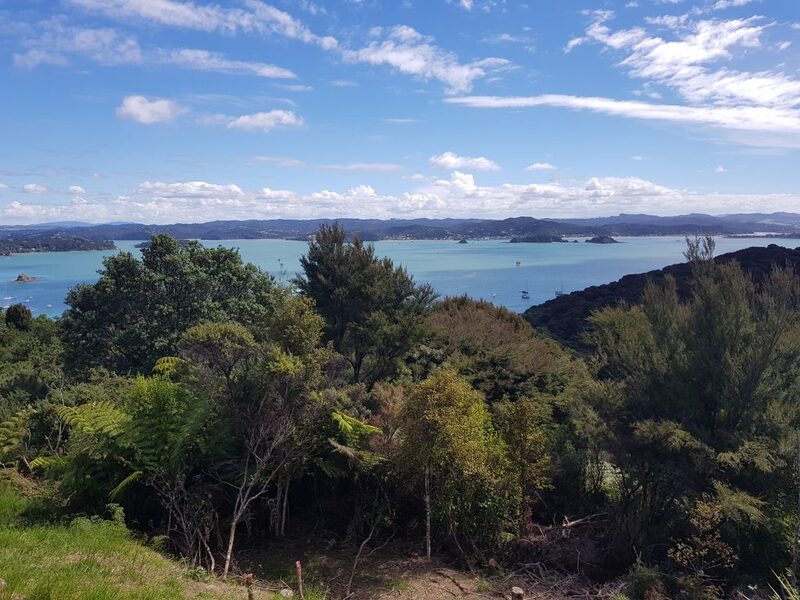 It is an interesting tour, the staff are really knowledgeable and it is a good way to learn about the history of the “Hell-hole of the Pacific” and New Zealand’s first capital, Kororareka (the Maori name for the town). The printery is the only building left on the site which used to contain several buildings including a chapel and various outhouses. The garden still remains and is quite nice to wander around before you start the tour and there is a cafe and gift shop on site as well. I’m not sure what the cafe is like as it never used to be there and I had already had lunch when I went through the house over the Christmas period. 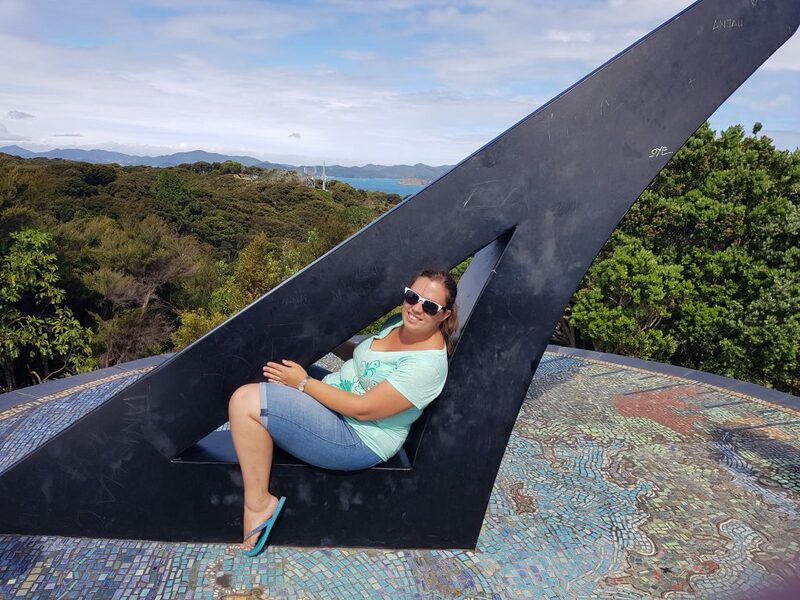 Flagstaff & Sundial: Head up the hill and visit the flagpole at the top of the hill and check out the views over the Bay of Islands. The views are super impressive, especially on a clear, sunny day when you can see for miles! Between 1840 – 1913, 6 flagstaffs were erected at the top of the hill. 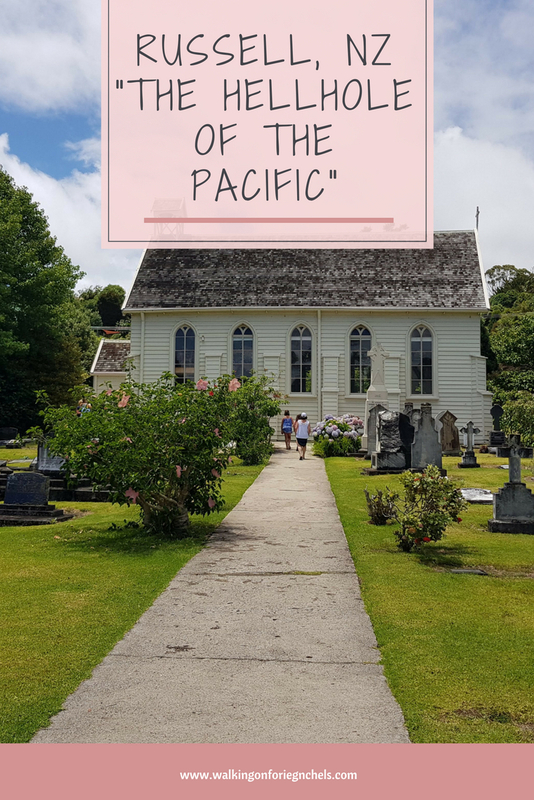 The first 4 were cut down by Hone Heke and his followers in protest against the crown, the 5th was damaged by fire in 1913 but was not completely destroyed so it was put back up for the final time in 1913. There is a walk that goes through the bush and up the hill, which is a really nice walk and if the weather is good it is worth doing. You can walk back the same way or go down the road and back into town. Alternatively, you can drive up and not worry about getting all hot and sweaty! On the other side of the car park is the sundial surrounded by a colourful mosaic map of the area. You can climb inside the sundial, which I, of course, have done! Though it’s not as easy now as it was 15yrs ago! There is a plaque up there which explains how to convert the time to Daylight Savings Time. Tapeka Point & Long Beach: If you’ve driven up to Flagstaff, head back down the steep hill and turn left to carry on around to Tapeka Point. A cute little pebbly beach where you can set up camp for a picnic in the sun followed by a refreshing dip in the sea. There is a floating platform not far offshore that is perfect for jumping off and there’s often kids of all ages congregated out there. There’s no surf here either, so it’s quite a safe beach for kids. Long Beach is also very close to town but instead of going up and over the hill, you need to head right at the end of the main road and follow it around. Not long and you’ll be at the beach. As the name may suggest, it is a long beach! Perfect for swimming, body boarding, and walking. There are some rock pools at either end of the beach where I’ve often seen people fishing from. 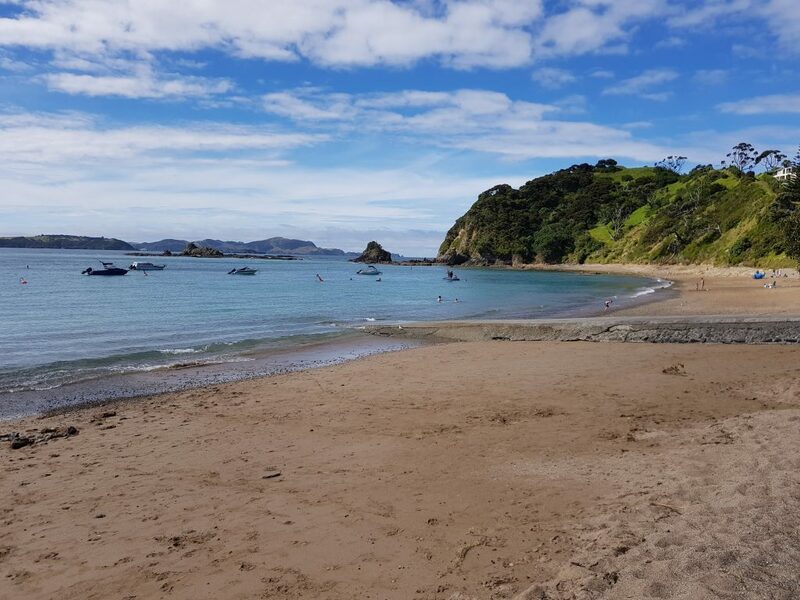 I haven’t been swimming here since I was a kid but I did go for a wander along the beach while I was there over New Years and it was gorgeous! Definitely a great place to chill out. 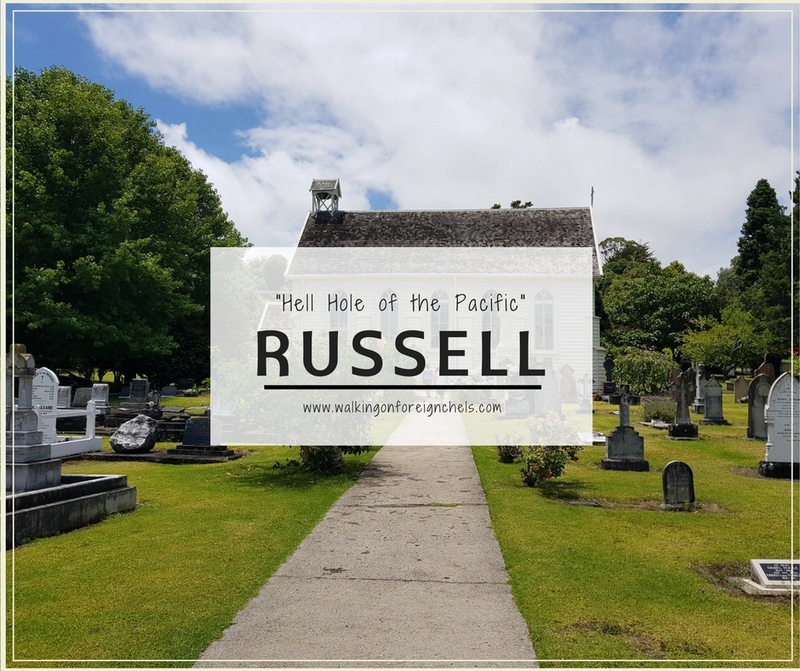 Russell Museum: If you want to learn more about the history off the Hell Hole of the Pacific, then what better place to go to find out?! 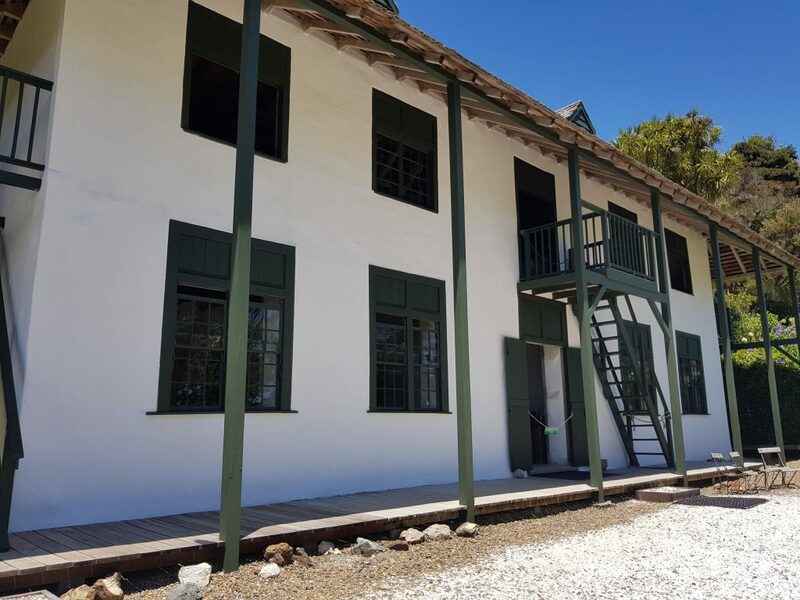 You’ll see the museum when you first drive into town – it’s right on the corner and backs onto the waterfront so you can get to it from either side. There is an admission charge but I’m unsure how much it is. I did check their website for you, but I wasn’t able to find out what it is and I haven’t been there since I was a kid so I’m really not sure how much it is. It’s not a huge museum but definitely a good display for European and local Maori history. Don’t get hangry and spoil the trip for everyone – make sure you stop at one of the many restaurants/cafes to refuel. The Duke of Marlborough: This place is amazing! Definitely one of my favourites places to eat and stay if you can afford it. The food is really good, a little on the expensive side but it is more fine dining than pub food. Saying that, you can also buy bar food in the lounge to go along with your drink. 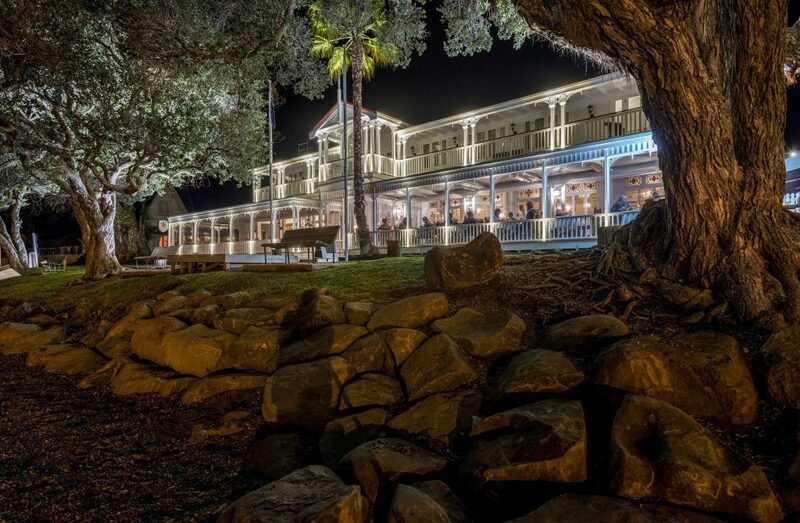 It’s the oldest bar in New Zealand and has been operating in the same place since 1827. There have been many renovations over the years, but the main entrance, staircase and lounge still look like they would have originally. All the rooms have been upgraded and are very nice and modern rooms. They also cater to weddings and parties and their ballroom is beautiful! The Gables: Another of the original town buildings along the waterfront, this is a beautiful setting. The interior is small, but very intimate and cozy. I haven’t been here in many years and it has changed hands a lot over the years. I believe it is primarily a seafood restaurant which is not my thing (I’m allergic *wail*) so I haven’t checked it out recently. TripAdvisor tells me it has excellent reviews and the food is superb – so if fish are your friends, then definitely head down here and check out the charm. Sally’s: This one is no longer called Sally’s, it has been taken over by someone else in the last year. It’s still really good, the food is nice and the staff are friendly and you can still sit out by the beach which is nice. This place has always been my go-to coffee and cake stop when I’ve been up there. So don’t let the hangry take you over – stop here! Other places to eat: These are ones I haven’t been to before, but have seen around. You would think, the amount of time I’ve spent up there I would have tried these! Where to snooze: There are LOADS of accommodation options in Russell. It’s a seaside holiday town after all, so expect it to be pretty busy, less availability and higher prices over the summer months. The Duke: I’ve already mentioned The Duke earlier, and I have stayed here before. It’s a beautiful place to stay and I feel like I’m being taken back in time with the original interior through out the hotel. Would have been great to be a fly on the wall back in the day! Camp-ground: If you love camping, which I do, there is the Russell Top Ten which is walking distance into town and has powered, non-powered sites and cabins available. It’s a really nice campsite, the facilities are fine – they hadn’t been updated last time I was there but that was about 10yrs ago so might be better now. Before you camp, check out this checklist created by my friend Jem over at Little Adventures. I wouldn’t want you to forget anything! Other places to stay: As I said, there are so many accommodation options it would be best to check out TripAdvisor or Booking.com but below you’ll find a couple that I’ve looked at as I’ve wandered past. Now you’ll be well-prepared for your trip to New Zealand’s first capital. If you go at the right time of year you’ll be able to step back in time and catch sight of all the drunk sailors and prostitutes wandering the streets!